Check Mee Seva Application Status, Meeseva Certificate Status online. Meeseva centers has providing lot of online services from Andhra Pradesh and Telangana. The citizen's Who had Submitted their application from Meeseva center those Person check their Application or Certificate Status online through Meeseva Portal . “MeeSeva” in Telugu means, ‘At your service’, i.e. service to citizens.MeeSeva is to provide smart, citizen centric, ethical, efficient and effective governance facilitated by technology. The initiative involves universal and non-discriminatory delivery of all government services to citizens & Businessmen of all strata and improved efficiency, transparency and accountability for the government. How to check Meeseva Application Status online ? Follow below instruction for check Meeseva Application status or Meeseva Certificate status through Meeseva online Portal. 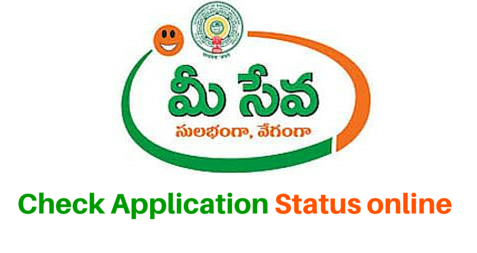 Meeseva AP - Application Status online. Meeseva TS - Application Status online. You definitely need to have your application number. Enter your Meeseva Application Number on the box which lies just beside the Department login. Than Click on "GO" Button. Finally get your any Meeseva Certificate Application Status online.